Rachel Rickert said she was fired for having her period on the job | Circa News - Learn. Think. Do. A model has filed a complaint against car manufacturer Hyundai alleging that she was fired from a gig for having her period, BBC reported. Rachel Rickert, 27, said she was "shamed" while representing the car maker at the New York International Auto Show in April. Rickert claimed she make it clear that she needed a bathroom break, only to be stifled by executives who said it was too busy a time. As a result, she didn't make it in time to change her tampon. The model said she needed to change her underwear and tights, and relayed to her talent rep Erika Seifred what had happened. Later that night, Seifred told her that Hyundai wanted her client to take the night off. But because she was paid by the hour, Rickert resisted and went to work the next day as normal. The rep called her the following day saying that the car manufacturer didn't want to her work at the show because they heard about her period. "I was completely puzzled," she said. "I was really upset. I started crying... I book out shows, and I miss other opportunities. So I was just like - 'What? This is not right!'" The model filed a discrimination complaint to the U.S. Equal Employment Opportunity Commission (EEOC) against Hyundai. "I'm not going to let people treat women this way," she continued. "It's a natural thing that we have, our periods, and it's not like I want special treatment because of it. I just want to be respected as a human and to be able to go to the restroom. And not to be considered a bad employee because I needed to use the bathroom." 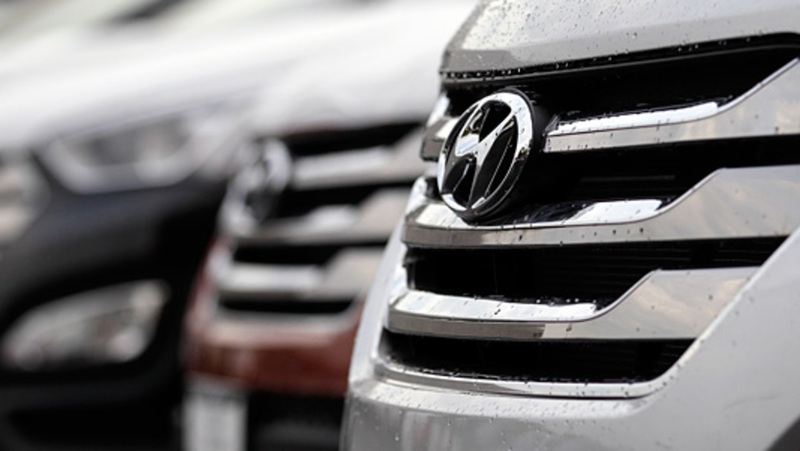 Hyundai Motor American said it is investigating the allegations, though it has yet to receive the filing. A spokesperson said, "We take any complaint like this seriously and will respond appropriately once we have a chance to investigate the merits of the claim." Want to follow and save your stories?